For anyone who has been ashamed of smiling due to different dental issues with their teeth, a cosmetic dentist could be the best visit they decide to make. From discolored and stained teeth to gaps and chips on teeth, it can seem like it is impossible to get back a smile to be proud of. However, with recent advances in dental technology, it is now easier than ever for patients to obtain a smile they are proud of showing off. Cosmetic dentists have the focus of transforming their patient's teeth using different procedures and methods to get a smile their patient is pleased with. Although general dentists focus on teeth, their primary goal is keeping teeth and gums healthy and not ensuring their patients have a bright white smile. There are many different procedures and treatments that a cosmetic dentist can recommend to their patient to get the smile they desire. However, it is important for the dentist to give a full examination and be able to create an action plan for the patient to reach their goals. Because every patient is different in their needs and the state of their teeth, there is not a one-size fit all method to that cosmetic dentists recommend. However, after seeing a patient and pinpointing what needs to be done to transform their teeth into something they are proud of, it can typically be accomplished rather simply with one or a few procedures and treatments. What types of treatments does cosmetic dentist recommend? Again, each patient will be different in their needs. However, we will give a brief overview of some of the most common treatments or procedures that cosmetic dentists use to transform their patients smile. Sometimes it can be the only one that is needed, or a few in conjunction with one another to take a person’s smile from bad to amazing! Dental veneers are a very thin shell that is wafer-like and fits over the teeth. After being crafted, the veneer is bonded to the teeth and will hide chips, cracks and worn down teeth. The process to get dental veneers is very simple. One thing that cosmetic dentists typically recommend is teeth whitening. When having professional teeth whitening completed, it is typical that the patient will obtain whiter teeth around 8 shades brighter than before. This is 3X better than any store bought method. For patients that may be missing one or more teeth, or need a tooth extracted, dental implants are a fantastic choice. They look and feel like natural teeth, and help to keep the jawbone from deteriorating over time. 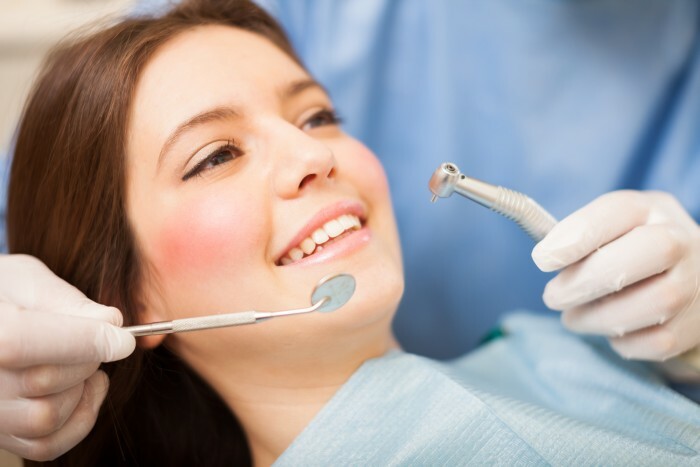 Have more questions about how cosmetic dentistry can transform your smile? Give our office a call, and we would be glad to answer any additional questions you may have and guide you in making the best decisions to transform your smile and have teeth you are proud to show off. What Age is Recommended for Cosmetic Dentistry?